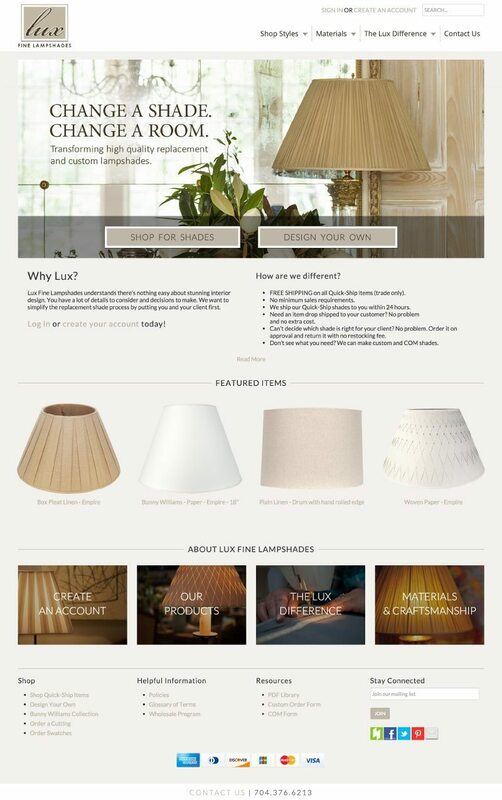 Lux Lampshades is the leading provider of replacement and custom lampshades for residential, commercial and private label customers. 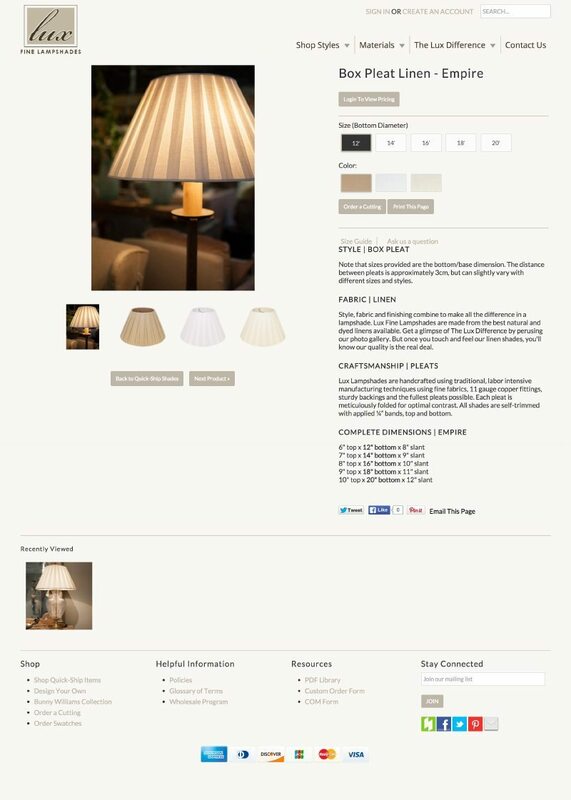 For over a decade, Lux has produced lampshades for some of the finest homes, hotels and resorts in the world. 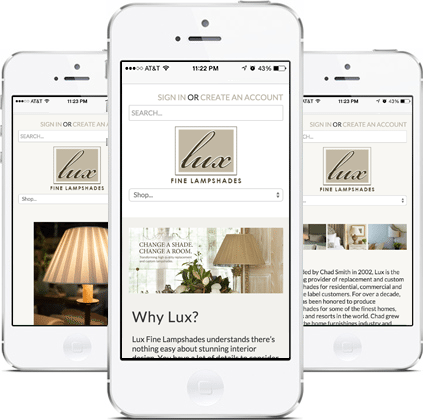 Lux is focused on providing products and services for designers. 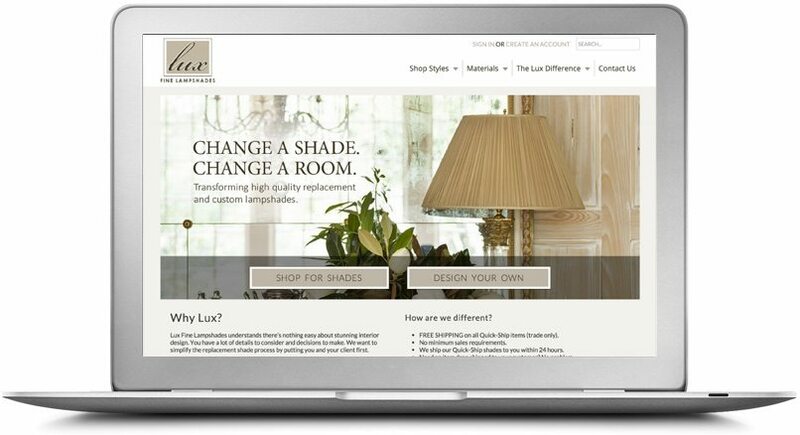 A great deal of planning and strategy was necessary for this e-commerce website because the focus was more B2B than B2C. 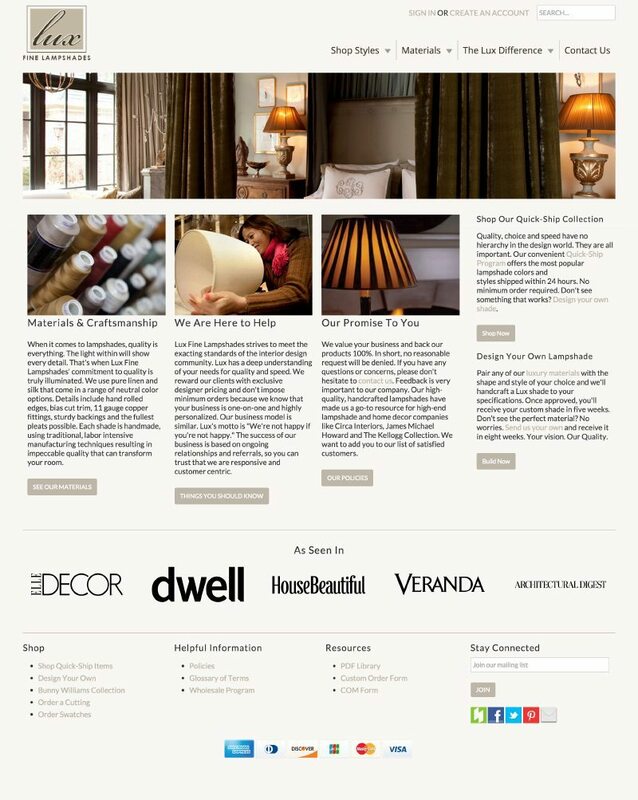 The website was designed and developed with this in mind. The website provides a clear delineated path for each end user to follow to get exactly the product they were searching for.